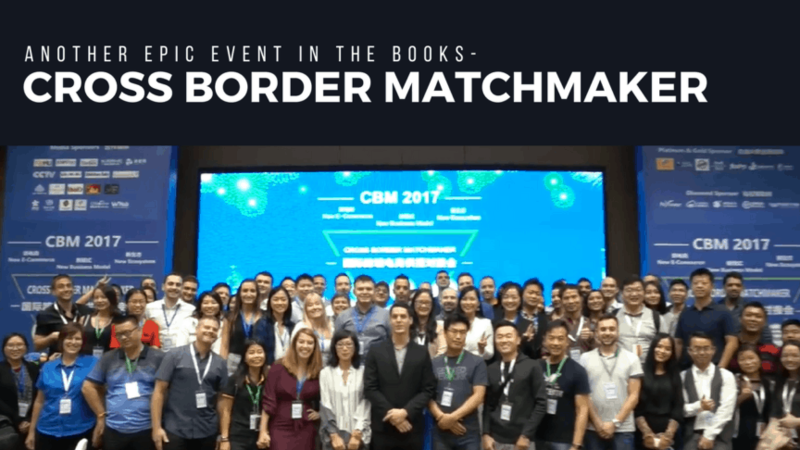 Today, I get a break from the normal video blog and want to highlight some of the amazing time at the Cross border matchmaker – our first one this past Friday Oct 27, 2017! We’ve done a couple Cross border Summits – April 2016 and April 2017 – but this was the first “matchmaker” – many asked what is the difference. This was the first event where we had simultaneous translation, as well as cooperating with 2 Chinese e-commerce groups Popeye and Guandong E-business association. There were also over 20 booths of suppliers looking for more e-commerce sellers to cooperate with. So this is why we called it matchmaker instead of summit. So enjoy this recap video of what happened last Friday – and I hope to catch you at an upcoming event! Next big one is April 20-21, 2018 in Shenzhen China for our third annual Cross Border Summit! This one we already have amazing speakers, sponsors, and attendees lined up and it will be one for the books. Thank you to all the speakers, sponsors, attendees, and our amazing team for making CBM 2017 – Cross border Matchmaker 2017 an amazing success. I’m still recovered and will get back on the normal video blogs soon!